A couple weeks ago, my parents came up to State College for my birthday and we went to the Allen Street Grill. Overall it was a nice restaurant and I got the staple of American food: the hamburger. It was quite good but a little pricey for a college student for it is a sit down restaurant but I would recommend going if you’re willing to foot the bill. American cuisine is one that is often overlooked as ethnic food, since we live here, however it does have some defining characteristics. There is a variety of influences on American cuisine from countries around the world leading to many different regional styles of food. The Native Americans had a heavy influence on the development of the style of cooking and different foods eaten. Fish was heavily used in Native American culture and became part of early colonial diets along with the style of cooking of grilling. The New England region is known for seafood and the Native American style of one pot cooking which is used in dishes such as succotash, chowder and baked beans. Local produce and locally caught fish are typical of Hawaiian dishes. Barbecue developed out of the midwest region and is still most popular there. 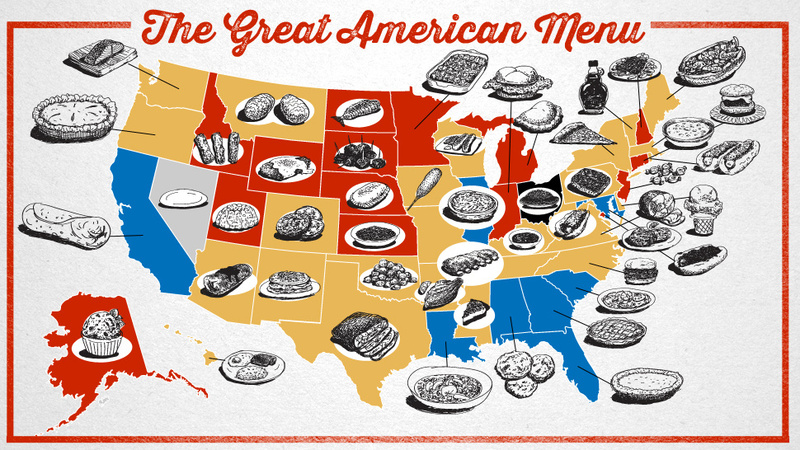 The South has one of the most distinct styles of food in the country. With a wide variety of influences, the south focuses on fried food (especially chicken), vegetables, grits and is known for serving up a full breakfast opposed to Continental one. The Northwest focuses on fish and the Southwest has a heavy Mexican influence. 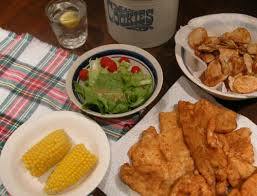 Many of the dishes that are considered “typical American” food are taken from other countries. For example, hamburgers and hotdogs are based off traditional German dishes but have been changed enough to be considered American worldwide. Also, pizza (a staple of American food) originated in Italy but met much change in the United States. Chicago deep-dish style and New York Style are two new varieties of pizza developed in the United States. The 2011 study also revealed some other interesting numbers. Americans ate: 632 lbs. of dairy products – 31.4 lbs. of that is cheese, 415.4 lbs. of vegetables. The most popular choices are corn and potatoes. 29 pounds of those veggies are french fries, 273 lbs. of fruit. Mostly apples and oranges, 183.6 lbs. of meat and poultry, 60.4 lbs. is chicken, 62.4 lbs. is beef. 16.1 lbs. is fish/shellfish, 141.6 lbs. of sweeteners, and 53 gallons of soda. I’ve never known how to really classify “American” food, since I guess it’s like our own spin on a lot of different countries’ dishes. There’s good American food and there’s not so good American food- for instance, I love pizza but hate hamburgers (Fourth of July barbecues are a nightmare for me to eat at). I think it is cool, though, how American food has so much variety because of all the different influences from other countries. It’s part of what makes the U.S a “melting pot”- literally! 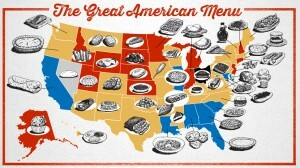 I’m glad you wrote about this because we never really think about the features of “American” food and it was cool to kind of look at it from a different perspective. I also love the statistics – they were really interesting.